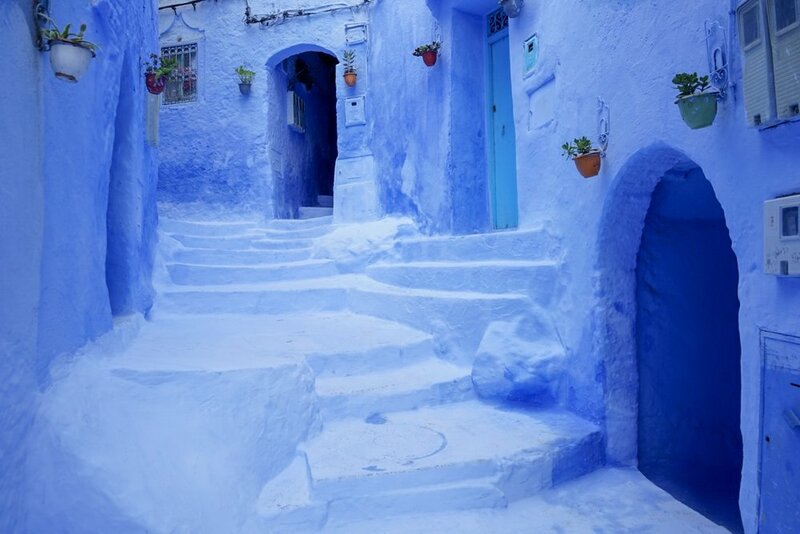 Another 10 hours from Merzouga lies Chefchaouen, the 'blue pearl' of Morocco. We had heard magical things about this blue city and were eager to see it for ourselves. To get to Chefchaouen, we took the CTM bus from Fes, which took about 4.5 hours and cost 75 MAD. 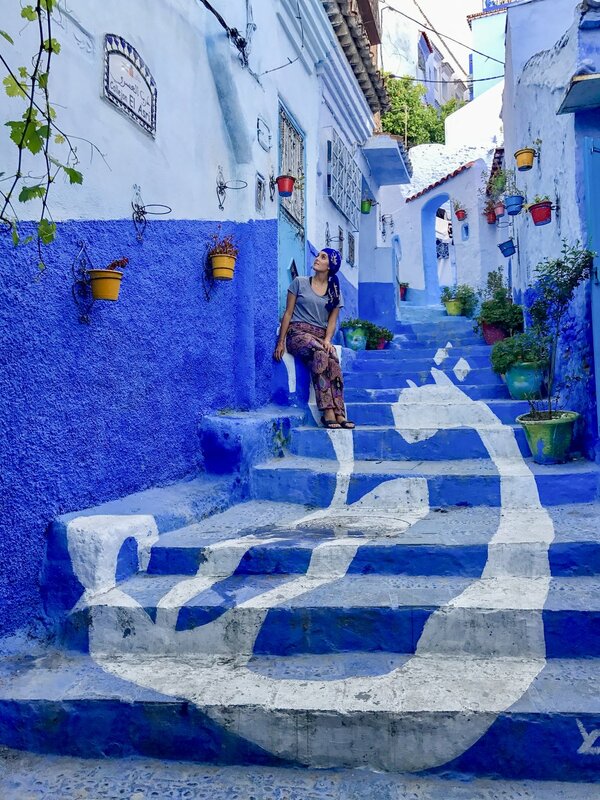 As the bus gets closer to Chefchaouen, you can enjoy pretty views of the surrounding landscape as the city is nestled into the top of a mountain. Once we arrived we were surprised to see that 'the blue city' really is as blue as all the photos had shown! Simply stunning! For the course of our 3 days, we spent most of our time wandering the tiny streets and alleys, pretending to shop for our magic carpets, and eating the best Moroccan food at Beldi Bab Ssour. The only downfall was that there were many tourists. If you want a chance at taking some cool photos, wake up early before everyone comes out and about. Mary had fun playing with some of the local kids. They are taught at a young age to say 'NO' to photos, but I still managed to snap a few.